Is the Higher Price of iPad Mini Justified? 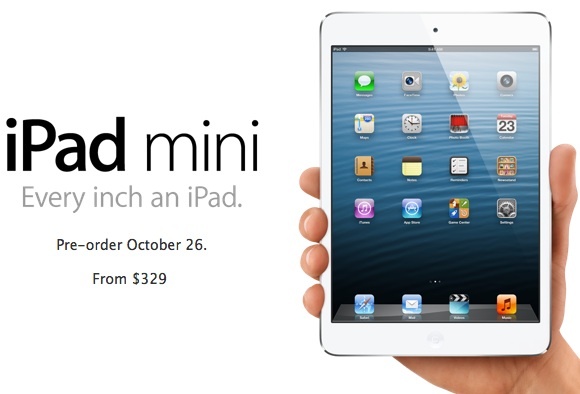 Apple has entered the market for small screen tablets with its recent release of the iPad Mini. The device has created quite a stir with industry experts and analysts jumping to conclusions and passing verdicts. Although many have reserved appraisal for this gem of a tablet concept from Apple, there are many others, who believe that Apple’s reckless pricing policy of pricing this entry-level model at a significantly higher price than the other tablets will be a bad move. The same emotion was reflected by the fact that Apple’s share prices saw a dip as it announced the price of the iPad mini. Yes, there is no point denying the obvious fact that Apple’s iPad Mini price range is considerably higher than the other tablets in the same segment. But, let’s take a look at the hardware it is offering and then decide whether this pricing is justified or not. The winning stroke from Apple is the fact that it has kept the hardware specs of the iPad Mini at the same level with the iPad 2 (more or less) apart from the screen size the hardware at a slightly lower level than the iPad 3 or the newer iPad 3. Thus, the hardware that Apple’s iPad Mini is offering to you at this price is quite competitive and can provide a thrashing to the hardware of the other tablets, which are priced at a lower rate. There is constant criticism for the segment of the smaller screen tablets, irrespective of what company is pricing it and at what level. The critics point out the absence of necessity of a segment when there are smartphones with almost similar screen sizes available today. Keeping this in mind, let’s take a look at the Apple iPad Mini and what it brings to you in spite of owning almost all the latest gadgets. First things first. The Apple iPad Mini brings a screen resolution to the smaller screen tablet category never seen before. This makes it perfect for portability as well as a number of other activities like reading a book, reading your favorite tabloid, watching a film on the flight and doing numerous other things without the necessity of carrying a separate pouch and bag. There is no point in denying the fact that Apple has indeed priced its iPad Mini at a higher price range than its competitors’ models. But, it seems that Apple is justified in pricing it at this high range because this device is not just your regular small screen tablet. It is the closest you can get to the iPad 3 experience without needing to shell out that much money! So, if you are looking for justification of the higher price of the iPad Mini, then remember that this is an Apple product and has a superior design and overall quality. This entry was posted in Reviews and tagged iPad, Mini. Bookmark the permalink.